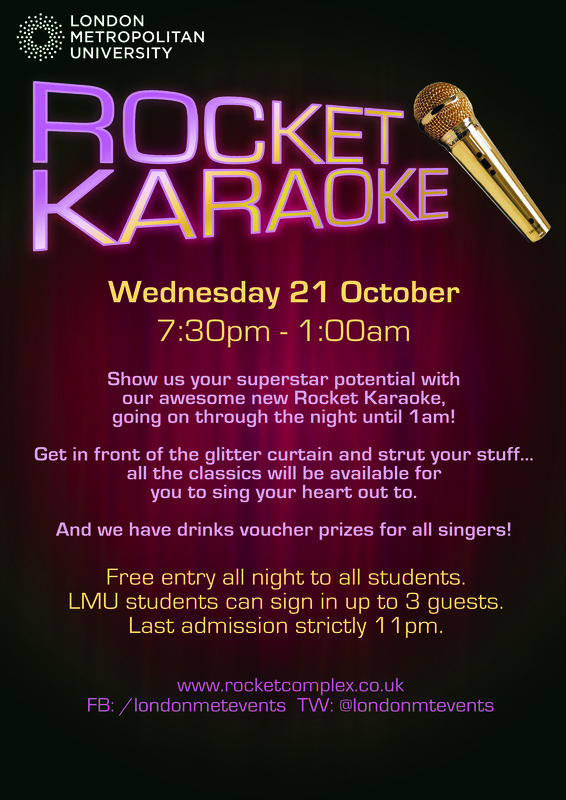 Look out for some great events this coming month… we have the infamous Rocket Karaoke on Thursday 1 December from 7pm, and our flagship Christmas Party on Wednesday 7 December from 9pm – 3am. 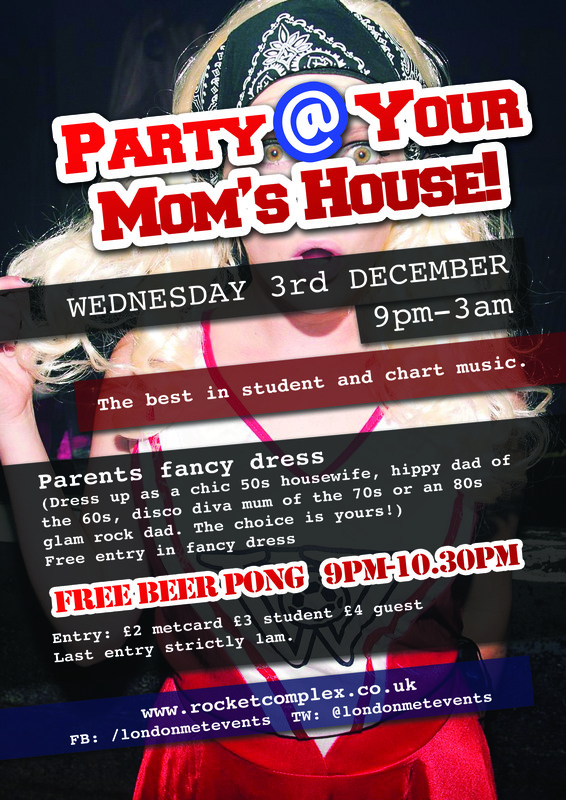 Both events are lined up to be off-the-charts amazing as usual, and a great finish to the term… see you there! We also have various movie nights coming up over the next three weeks… keep an eye on our Facebook here and say hi on Twitter @londonmetevents. We can’t wait for Summer, but until teaching ends instead we’ll have a BBQ every Thursday in the courtyard at Holloway Campus! Delicious street food, giant games, music from Verve Radio and live music from our students as well as comfy deck chairs and more… not to be missed! The first street food BBQ will be on Thursday 21 April, and then every Thursday if the weather is good! FRESHERS FORTNIGHT 2015 KICKS OFF AT LMU ON MONDAY 21ST SEPTEMBER! There will be club nights, cocktails, cake, bingo, BBQs, beer, lights, llamas (seriously) and laughs! Make sure to get your LMU Freshers Wristband as soon as you get to uni so you can get to all 2 weeks of the events for free. It’s completely free for all first year LMU students. We will have our Freshers events team out around uni that you can pick them up from. Otherwise you can get one from The Rocket Complex, and we will also be hanging around all the enrolment sessions giving out lots of info too! And don’t forget to pick up a ‘Metcard’ when you get to uni, available from The Rocket Complex at the bar. It’s completely free and gives you great discounts around campus, especially on food, drink, merch and event entry! Our top tip is to use it in The Rocket where you can get the cheapest and best breakfast, brunch and lunch – Mon to Fri and the best coffee on campus. Freshers Fair is held on Tuesday 30th September in Aldgate Hub and Thursday 2nd October at Holloway Hub. Everything from info on all the great societies and sports teams you can join, more free stuff than you can carry, DJs AND free pizza… we strongly recommend you don’t miss this event! HEY, DO YOU LIKE TO PARTY? Freshers Welcome Party is on Friday 9th October, and all new and returning students are welcome! 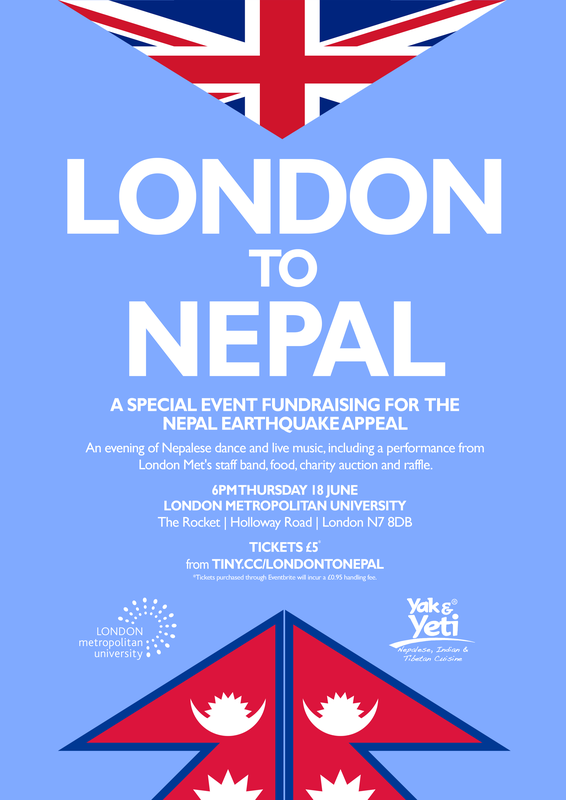 Tickets are £5 in advance for students or £8 in advance for guests, but all tickets include 2 free drinks AND a free BBQ! Not only that, but it’s a huge party with something for everyone, and always sells out, so make sure to get your tickets nice and early. Find out more soon on our FB page. If you want all the latest information on what’s going on socially around uni, you have to get involved with our facebook and twitter – let us know you’re here and get chatting, we’re a friendly bunch and would love to hear from you!